We are offering our client an excellent quality range of SS Reducer. These SS Reducer are made from very high quality stainless steel raw material which ensures high durability at its user end. 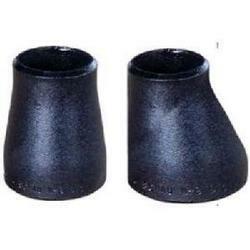 These SS Reducer are available in various designer patterns and designs. Our range of SS Reducer are available at most competitive prices. Size:1" X 3/4" - 24" X 22"
Any sizes of customer-made products are available. Product Tees, Elbows, Reducers, Caps, Flanges, etc. Certification ISO9001 certified, API, RAW material, Mill cert. Unbelievable price on Stainless Steel Reducer in Mumbai (India) company Uday Steel & Engg Co..